Site Scan Field includes a quick upload option that compresses the images on the tablet by a factor of seven before uploading. This dramatically speeds upload at the expense of introducing potential compression artifacts that affect the quality of the final images. 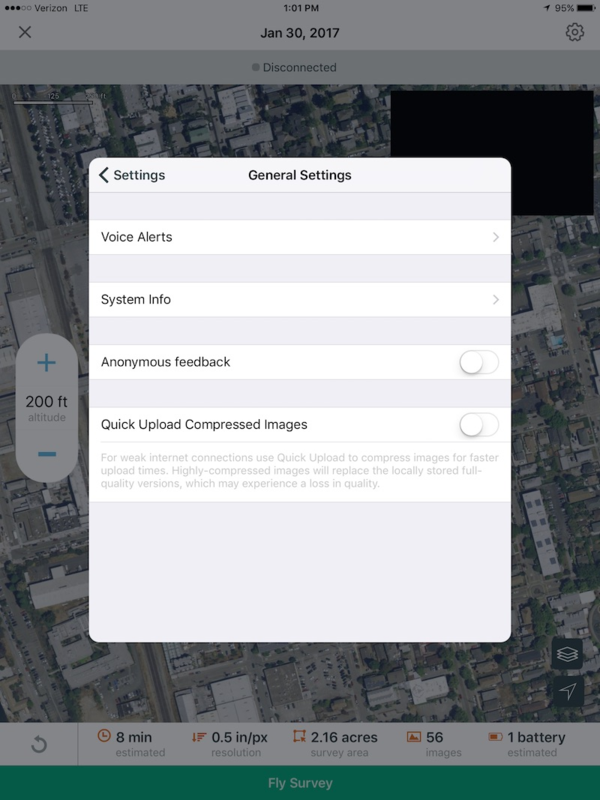 To enable this feature, navigate to the General Settings Menu and slide Quick Upload Compressed Images to the right.